I first head Crying, Laughing, Loving, Lying in a BBC documentary about motor racing called Grand Prix: The Killer Years. If that sounds like a melodramatic title, it’s worth watching the programme, which was a good deal more sober (it seems to have disappeared off YouTube at the moment though). One scene, once viewed, is unforgettable. During the 1973 Dutch Grand Prix at Zandvoort, Roger Williamson’s tyre blew. His car somersaulted, landed upside and caught fire. The driver behind him, David Purley, pulled over, tried on his own to roll the car over and, not being able to, looked in vain for assistance. He grabbed a fire extinguisher out of a marshal’s hand and tried to put out the fire himself. As the fire worsened, he pleaded with the assembled marshals (four or five of them) to help him try to roll the car over. Wearing no protective flame-retardant clothing, they declined to help (one half-heartedly stood directly behind Purley and pushed into his back). Williamson’s car was still burning, with still no sign of ambulances or fire engines. While the race continued, Purley signalled in frustration for the drivers to stop. Still Williamson’s car burned. By this time, Williamson was almost certainly dead. So the film was harrowing (at times, in fact, it’s hard to believe that what you’re seeing happened, and was in fact broadcast as Sunday afternoon entertainment), and few who were not themselves former drivers emerged from it with any credit. The footage of Williamson’s fatal accident was allowed by the production team to play with no overdubbed music. You hear the engines of the cars as they go past, and occasionally you hear Purley’s remonstrations with the officials, but the gravity of the moment is not cheapened by added music. Elswhere in the programme, though, they did make use of music, and good use of it too. One song, playing underneath reaction to (I think) the death of Jim Clark, was unknown to me, but beautiful, so I googled the lyrics and found out that it was Crying, Laughing, Loving, Lying by Labi Siffre, from 1972. Nowadays best remembered for the anti-apartheid song Something Inside So Strong, It Must Be Love (most associated with Madness) and I Got The… (the deathless groove of its second half is the sampled backbone of Eminem’s My Name Is), Siffre’s career stretches back to the early 1960s, when he played guitar in a Jimmy Smith-style jazz group. He found mainstream success in the early 1970s, presumably with the same kind of audience as that of Cat Stevens, to whose music Siffre’s sometimes bears a passing resemblance. 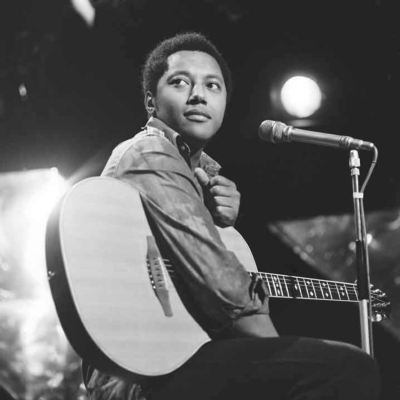 He went to the same West London Catholic school, St Benedict’s, as my uncles (and Julian Clarey); “God is the last refuge of a scoundrel” reads the latest blog entry on Siffre’s website – a Catholic education so often seems to have the opposite of its intended effect. Crying, Laughing, Loving, Lying (also the title of its parent album) is one of those simple, elemental songs that feel as if they must always have existed. It’s just some nimble guitar picking, the same melodic phrases repeated four times, with small variations in the words, and a slowly, subtly building arrangement. Such musical and lyrical economy but such an emotional effect. Siffre makes something very difficult sound very easy here. Rod Stewart, Olivia Newton John and Jimmy Ruffin have all covered it; none could resist the temptation to make it bigger (surprisingly, the loathsome Stewart fares the best). Even so, Siffre’s version is the essential one. This entry was posted in Music and tagged 1970s, acoustic guitar, apartheid, arrangement, audio engineering, BBC, Catholic, Crying, David Purley, Dutch Grand Prix 1973, Ealing, Eminem, fingerpicking, Grand Prix: The Killer Years, I Got The..., It Must Be Love, Jim Clark, Jimmy Ruffin, Jimmy SMith, Labi Siffre, My Name Is, Olivia Newton John, Rod Stewart, Roger Williamson accident, singer-songwriter, St Benedict's School on April 25, 2015 by rossjpalmer.